Engagement and retention need to go back to the top of the agenda if organisations don't want to suffer a mass exodus of talent once confidence starts to return to the jobs' market. A couple of weeks ago, Wayne Turmel spoke to Joyce Gioia, President of The Herman Group, for our last podcast of 2009, about the ways your organization can become an employer of choice in 21010 – and why, despite the recession, this matters. Knowing just how quickly most New Year's resolutions get forgotten, here's a reminder of her salient points. Tammy Erickson is an author and expert on organizations and the changing workforce and, in particular, the generational differences between workers today. She spoke to Des Dearlove about the best ways to unite generations into a productive workforce. It's often said that money doesn't bring happiness. But the truth could be more complicated, according to researchers at University of Toronto and Stanford University. Since the recession began, many organizations have had to cut costs, lose staff and demand more from their remaining employees. But this can lead to negative energy and a loss of goodwill. So how do you keep your employees on board for the road to recovery? 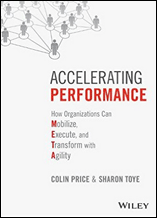 How do organizations boost the performance of employees when times are so tough? 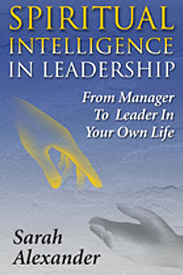 Stuart Crainer hears from Sylvia Ann Hewlett that ignoring your best people leads to the evaporation of loyalty and trust as alienation and disengagement sets in. Trust is an essential requirement of effective leaders. Without trust, leaders have no followers. And if they want to build trust, leaders need to understand that trust as driven more by aligned commitment and shared responsibility than by an assessment of individual capabilities. The reason employees become disengaged is because management takes the lion's share of ownership. So if you want to build real employee engagement, relinquish your monopoly on leadership, change the way you view employees and push ownership down throughout the organization. With new research highlighting a sharp decline in employee commitment - particularly among top performers - isn't it time organisations stopped cost-cutting and lay-offs and started to plan for the future? The real toll of the recession is its impact on everyday people. Smart managers know that creating a climate of fear isn't going to help. Instead, they need to focus on the right things that together create a more motivating work environment for their employees. How do you inspire confidence and innovation in an organization whose employees are worried sick about their jobs? The answer isn't that complicated – and it doesn't involve employee engagement surveys. For all the talk about its importance, the vast majority of organisations simply don't take employee engagement seriously. And they never will until those who run these organisations acknowledge that every employee is a potential asset, not a liability. Job cuts, endemic uncertainty, too much change too quickly – it's little wonder that so many people feel pretty alienated from their organisations at the moment. So here's some very sound advice from consultants Watson Wyatt about the steps you can take to reconnect employees. Companies looking for a novel way to boost employee morale and engagement are turning to corporate vegetable gardens as the latest tool in the battle to win hearts and minds. Employee engagement could be improved by cutting back on military-style management layers and improving workplace democracy, a Welsh academic claims. Despite what bankers continue to claim, money buys neither happiness nor loyal employees. So throwing good money after bad isn't a long-term solution for employees suffering from occasional feelings of low job satisfaction. There are lots of tools in the box – tools like pamper power. Getting your employees to focus at least once a day on an element of their job the previous day that went well could boost happiness across your company, according to a UK academic. While many companies concentrate on physical employment contracts during a downturn, the psychological contract often gets overlooked. Dr Graham Dietz of Durham Business School warns against this and offers advice on ensuring your company's contract remains in good health. Can you put a cost on bad manners? Does politeness pay? According to a US business school professor, the answer is an emphatic "yes" – in fact the cost of bad behaviour can run into millions. If an organization really wants to attract and retain the best and brightest, a good place to start is by painting a vision. I don't mean some tired mission statement, I mean something with depth, something so compelling that the average working professional wants to be part of it.